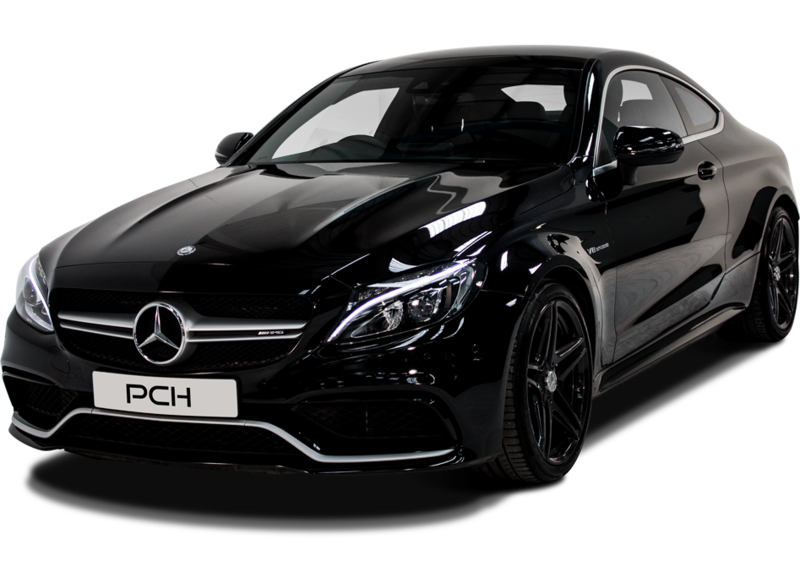 Available to hire from Prestige Car Hire, the Mercedes-Benz C63 AMG Coupe takes driving pleasure to a new level. Hire a C63 AMG at Prestige Car Hire to experience unrivalled performance and luxury. The C63 AMG hire car is available for delivery throughout the UK. This stunning machine blends stylish comfort with a striking design and top performance, the perfect choice for any occasion. 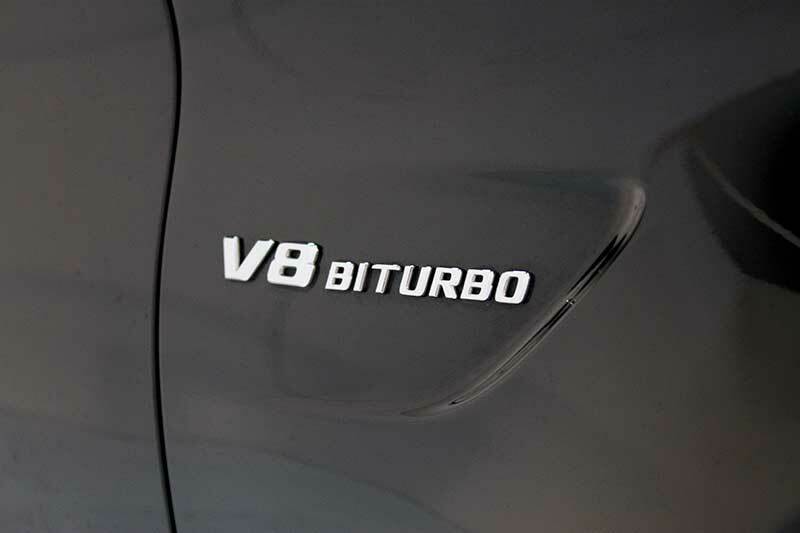 With a monstrous 6208cc V8 engine, the C63 AMG can reach 0-62mph in just 4.4 seconds and has a top speed of 155mph. 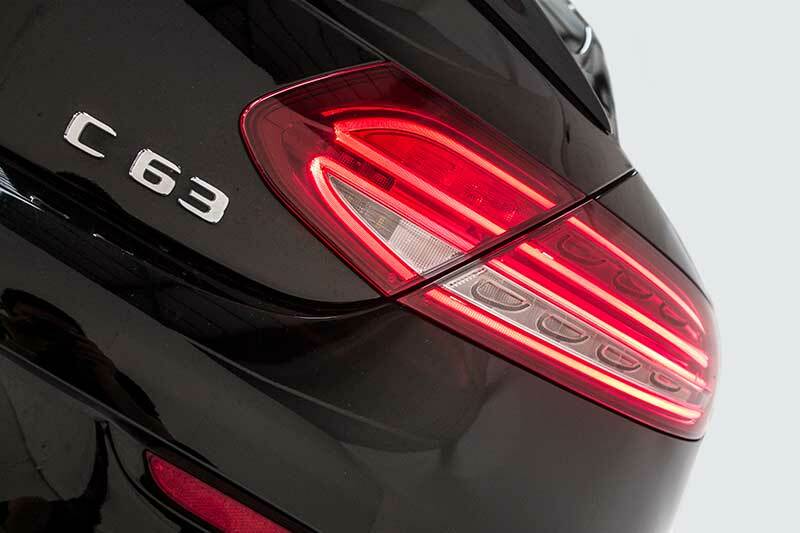 The Mercedes-Benz C Class Coupe C63 AMG has a striking look with its compact proportions and low silhouette. Typical features of this car hire choice include a short front overhang, lengthy bonnet, steeply raked windscreen and stretched-out roof. At the front, the coupe shares the same styling as the latest C-Class with a more modern twist. Two chrome louvres extend left and right either side of the central star, creating an elegant, arrow-shaped horizontal sweep, giving the front end a pronounced hard-hitting V-shape. Inside, the C63 AMG hire vehicle is a fully-fledged four-seater featuring sporty yet comfortable seats. If desired, the backrests in the rear can be folded down to make the boot larger. 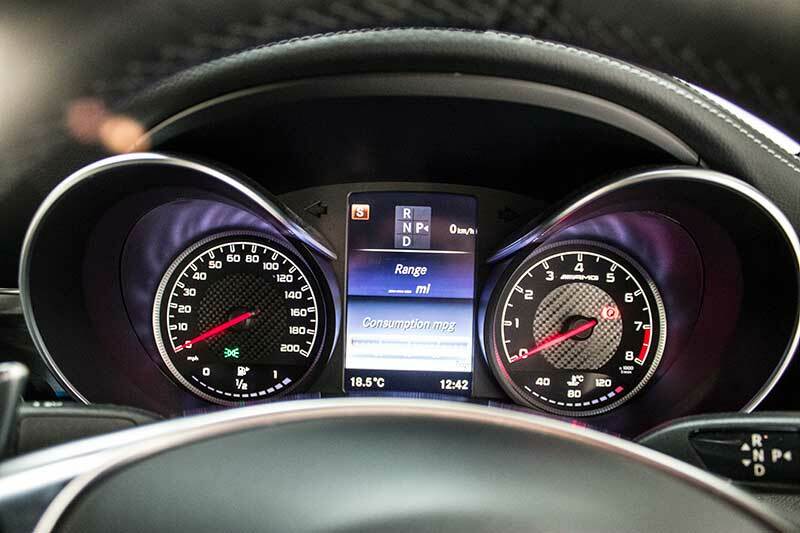 The dashboard instrument panel of the C63 AMG for hire features a strong, high-quality design and the coupe comes with the new generation of three-spoke steering wheel. There’s also leather and Alcantara adorning most of the surfaces, creating a luxurious driving experience. The Mercedes C63 AMG Coupe hire is a beautiful car rental choice to spend many hours motoring in supreme comfort. We've found these cars with a similar 0-62mph time to the Mercedes C63 AMG.